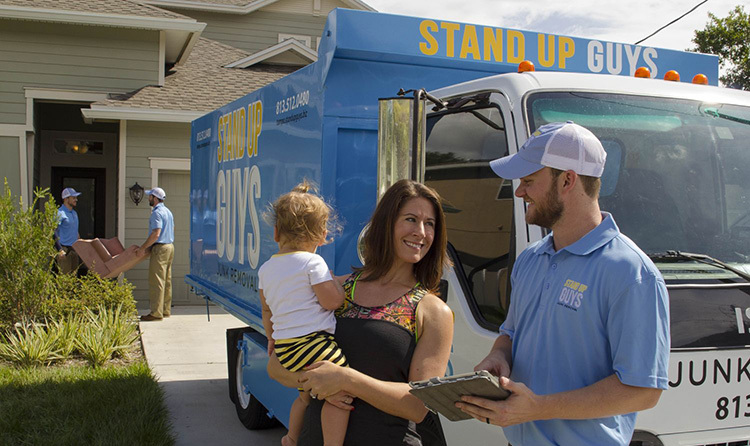 The Stand Up Guys are pretty commonly known as Zebulon’s #1 junk removal company. We’ve earned said title due to our industry leading customer service, amazing employees and affordable prices. 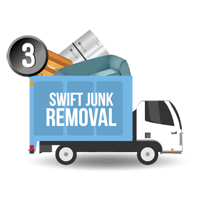 You wont find a junk removal service more reliable, friendly, dependable or trustworthy than The Stand Up Guys anywhere in Zebulon. 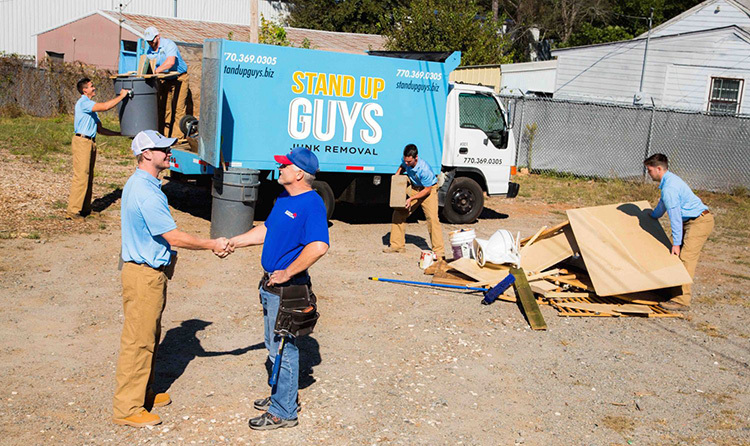 The Stand Up Guys Junk Removal Crew do it all in Zebulon. From removing household junk and yard waste, to construction debris and clean up, you name it and The Stand Up Guys will help you with it. 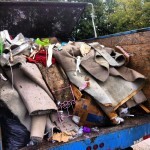 No matter what it is you need to get rid of in Zebulon, we can remove it. 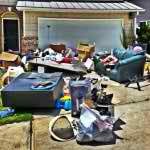 Simply point out what you want gone, and The Stand Up Guys Junk Removal Crew will take care of the rest. 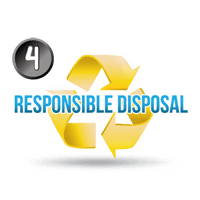 In the great city of Zebulon, The Stand Up Guys have earned the title as #1 Junk Removal Company for many reasons, like stated before, but the number one reason why we are the best of the best, is our customer care. 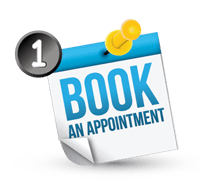 We ensure that all of our customers and clients are 100% satisfied with our service 100% of the time. This gives our customer peace of mind knowing that their needs will be met when they hire The Stand Up Guys! Zebulon is one of Wake Counties finest and the most eastern of the Raleigh suburbs. Zebulon isn’t the largest city around, with just over 4k residents, but what it lacks in size Zebulon makes up in awesomeness across the board. Zebulon has a ton of history as well. The town dates back to the early 19th century when the government decided to run a railroad through the farm lands of eastern Raleigh. The formed the Zebulon Company to help with development around the same time. After the completion they decided to name the area Zebulon after the great Zebulon Baird Vance. Another great fact about Zebulon; they are home to the Carolina Mudcats, an awesome Minor League Baseball Team. 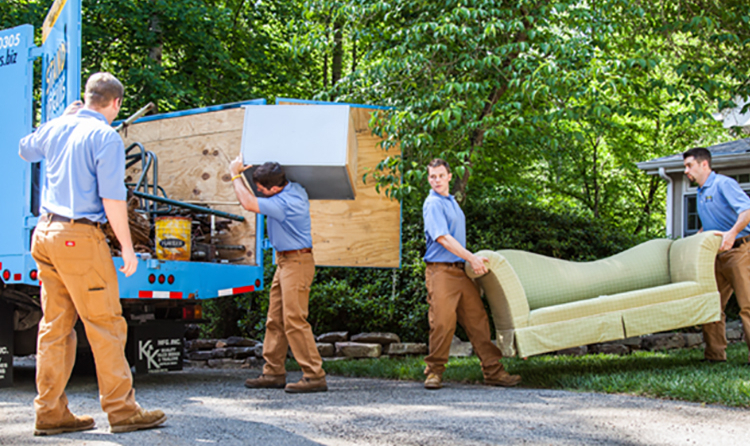 If you are ready and convinced to go with The Stand Up Guys Junk Removal Crew to help haul away your unwanted items and you live in Zebulon, then the rest is a breeze. 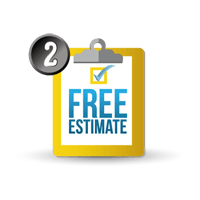 Simply pick up the phone and give us a call at 919-719-0556 today and book your free estimate!